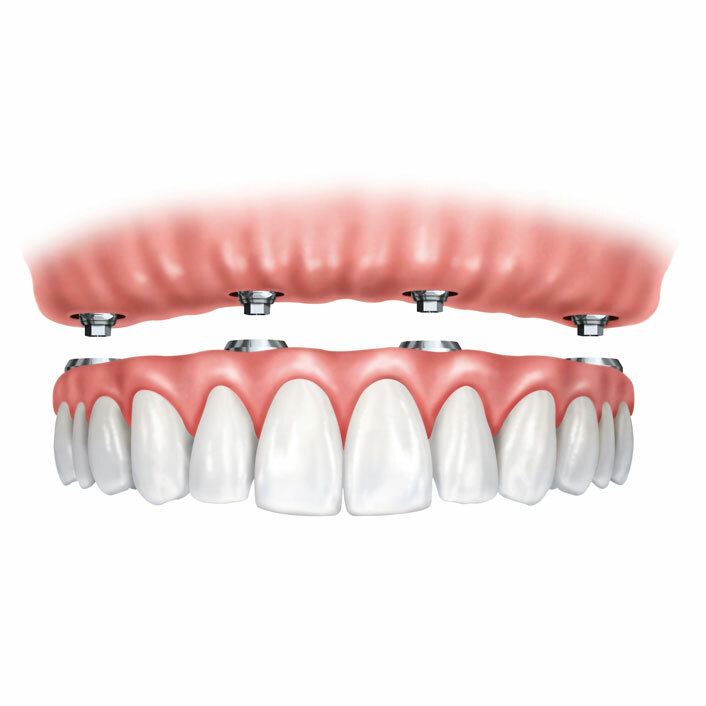 Overdentures, also known as implant-supported dentures, are dentures that are attached to implants in the jaw. An overdenture is used when a patient no longer has teeth remaining in their mouth but enough bone in their jaw to support implants. Overdentures snap into place on top of implants but can be removed for cleaning.